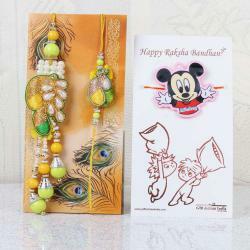 "Glittering colorful mirror design Rakhi set for Bhaiya and Bhabhi along with Bal Hanuman Krishna Rakhi for kids is the perfect choice to make your loved one feel awesome on the special eve of Raksha Bandhan. The flower shaped dial decorated with glittering stones and mirror looks pretty along with matching beads. 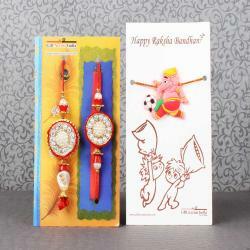 The look of the Rakhi has an eye catching gaze which will deck up the wrist of your loved one beautifully. Pink is the color of love hence this special combo is the right choice for you. 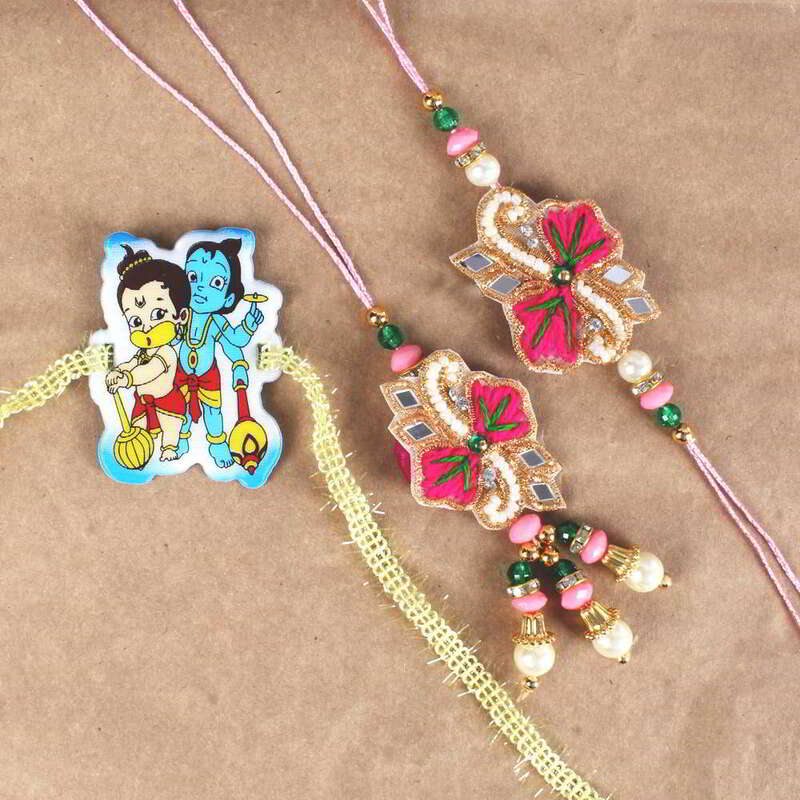 The little master of the family will be excited to tie the Bal hanuman Krishna Rakhi on the eve. 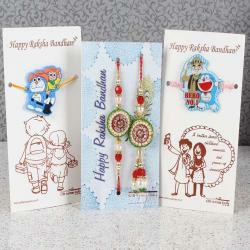 Send smile with this amazing Rakhi set and deliver your love and blessings for them. 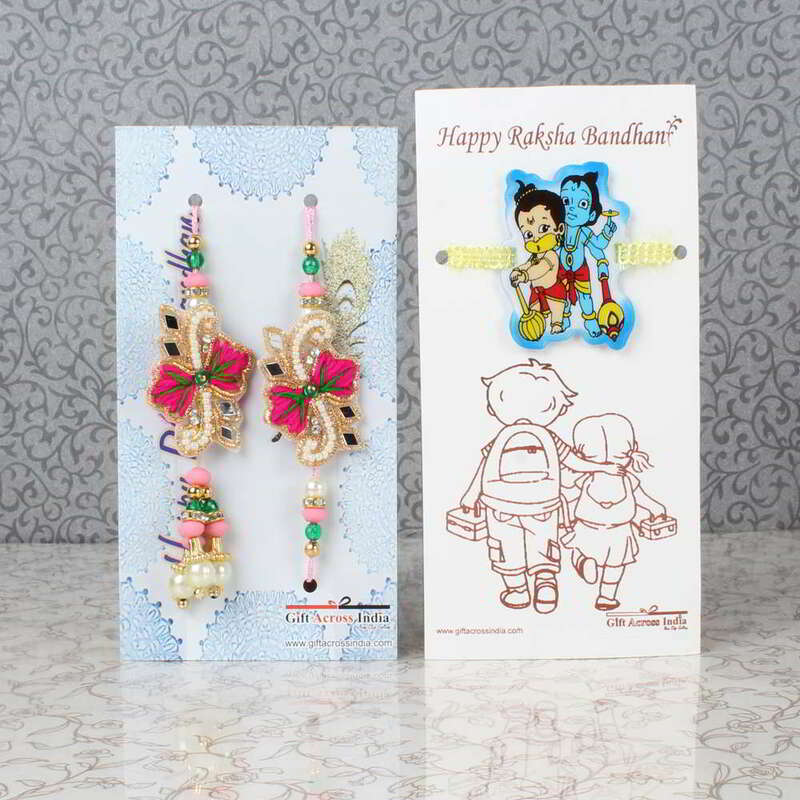 Product Consists: Mirror Design Bhaiya Bhabhi Rakhi with Bal Hanuman Krishna Rakhi for Kids nicely tied on a Designer Card. "